In June, the authorities of Iraqi Kurdistan, the regional capital of which is the city of Erbil, announced that they would hold the independence referendum on September 25. On Sunday, Iraqi Kurdistan's President Masoud Barzani said that postponing the vote would be out of the question. "Our expectation from Erbil is quite plain and clear: this referendum decision should be cancelled," Cavusoglu said Wednesday during a press conference in Baghdad, as quoted by the Anadolu news agency. 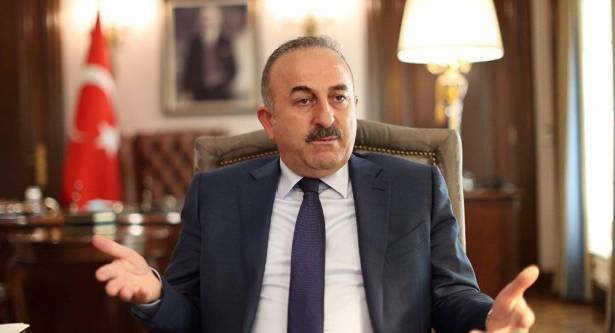 On Monday, the Turkish Foreign Ministry reported about Cavusoglu's visit to Iraq, during which he was set to meet both Iraqi and Iraqi Kurdistan's officials. The Kurds are a Middle Eastern ethnic group with the population of 30-35 million living mainly in Iran, Iraq, Syria and Turkey, however the group itself has no own state. In 2005, the Iraqi Constitution recognized Kurdistan as an autonomous region that was run by the Kurdistan Regional Government. Since then, Kurdistan’s authorities have repeatedly raised the issue of regional independence.